And with this phrase the lender with the worst record on financing high impact coal projects, including mountain top removal, steps out of this business. It was a daring choice on the part of the Rainforest Action Network to take on B of A over coal. They were the biggest lender in the sector and thus had the most to lose in terms of institutional knowledge and existing network. 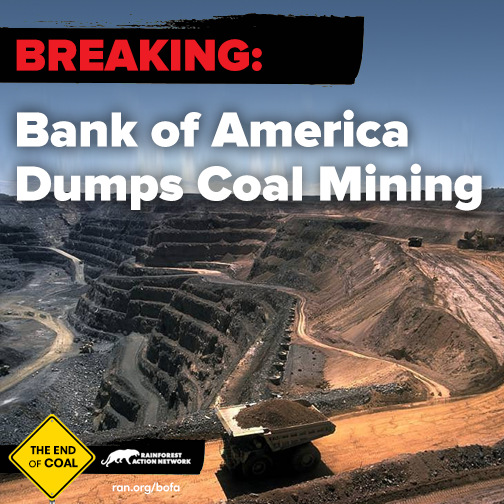 Moving from coal hurts bank profits in the short term and banks hate that. B of A is also notoriously reluctant to make any change and especially politically motivated change. Hurray! Glad to read of this change. Thanks.